"QRemote Client Encryption Key does not match with the one specified on QRemote Server." 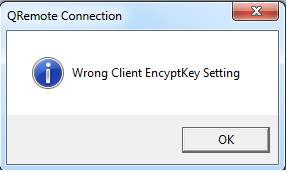 You will receive this error when using encryption key in QRemote Server which is not matching with QRemote Client encryption key. 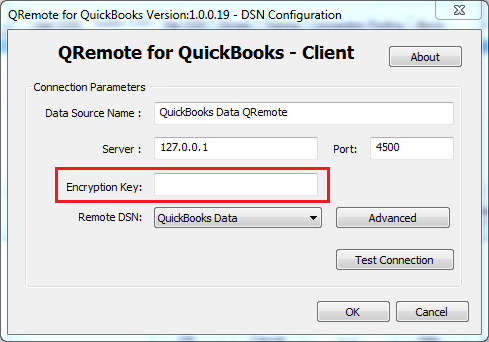 If you want to use the Encryption key, then you need to set same encryption key on QRemote client & server. Start>> All Programs>>QODBC Driver for use with QuickBooks >> Configure QODBC Data Source >>Go To "System DSN" Tab >> select QuickBooks Data QRemote >> click "configure"
Start>> All Programs>> QODBC Driver for use with QuickBooks >> Configure QODBC Data Source 64-bit >>Go To "System DSN" Tab >> select QuickBooks Data 64-bit QRemote>> click "configure"
Please verify encryption key from client & server. If the Encryption key is different, then please set same encryption key apply changes & restart QRemote Server & test again. If you don't want to use the Encryption key, then please keep it blank on client side & disable encryption from QRemote Server. 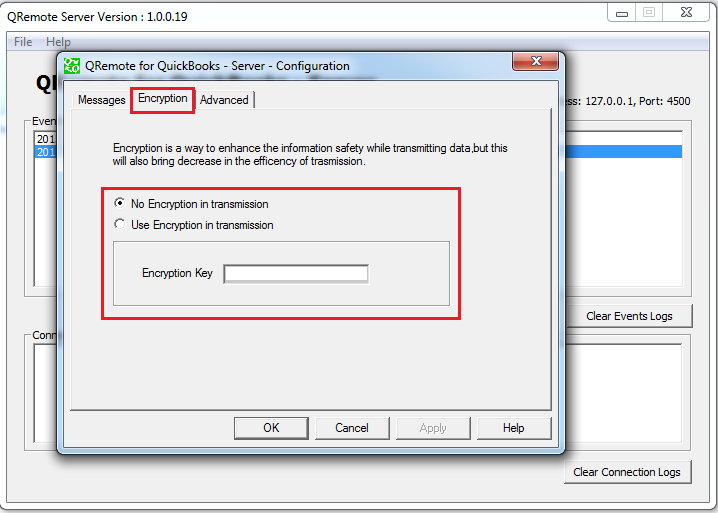 File>> Setting >> Encryption tab>> Select "No Encryption in transmission" apply changes & restart QRemote Server & test again.